AUBURN - Joan Banulis Lawler, 64, of Auburn, passed away Feb. 5, 2019, at St. Mary's Hospital in Lewiston, surrounded by her family. 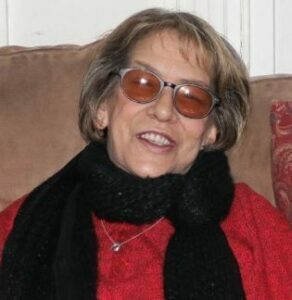 AUBURN – Joan Banulis Lawler, 64, of Auburn, passed away Feb. 5, 2019, at St. Mary’s Hospital in Lewiston, surrounded by her family. Born in Lewiston on May 8, 1954, she was the daughter of Charles V. and Mary Maroon Banulis, who predeceased her. A lifelong resident of Lewiston – Auburn, she was educated in Lewiston schools. Before her retirement she worked for local restaurants. Joan loved family gatherings, especially those that included extended family. She enjoyed jigsaw and crossword puzzles and games of all kinds, especially, cribbage. Her greatest accomplishment was her son, Jamie, of whom she was so proud. Joan is survived by Jamie and his wife, Sarah of West Gardiner; sister, Charlene Banulis of Wells; three nieces, Joan Packard Gill and husband, Mike of Sanford, Jennifer Packard Tripp and husband, Mark “Gary” of Rumford, and Jessica Packard Arsenault and husband, Brian of Rumford; three great-nephews; and many loving friends. A Funeral Mass will be held at 11 a.m. on Saturday, February 9, at Saint Mary’s Catholic Church, 236 Eldridge Road, in Wells, followed by interment at Oceanview Cemetery, in Wells. A celebration of Joan’s life will be announced and take place following the interment. To share a memory or leave a message of condolence, please visit Joan’s Book of Memories page at www.bibberfuneral.com.